I'm like you, I tend to refer to things as UFO's no matter what stage they are in. 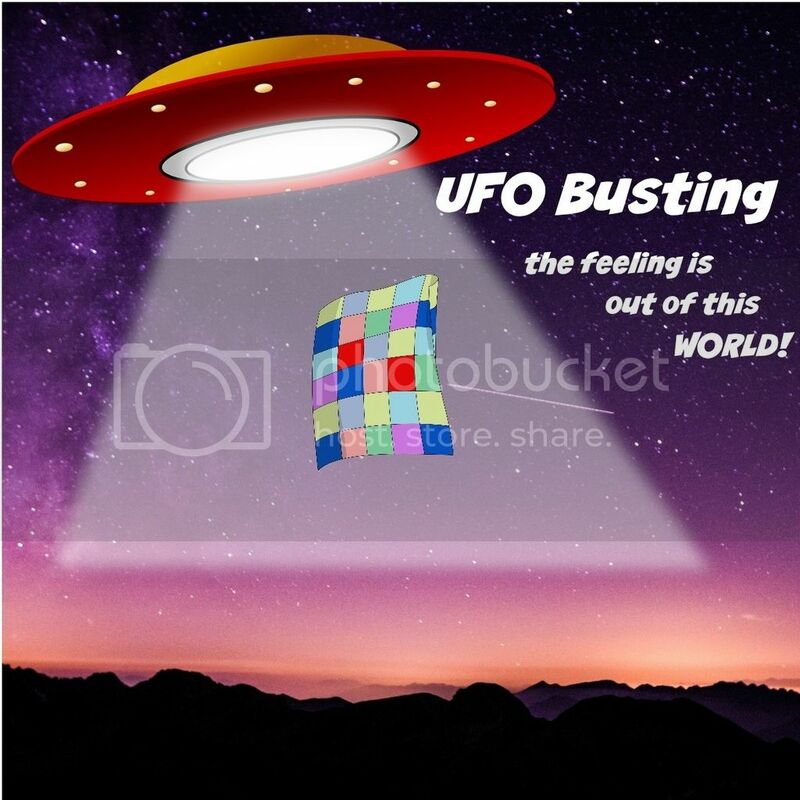 Mainly because I like calling them that because non quilters think I'm crazy and talking about little green men, so I get a chuckle. 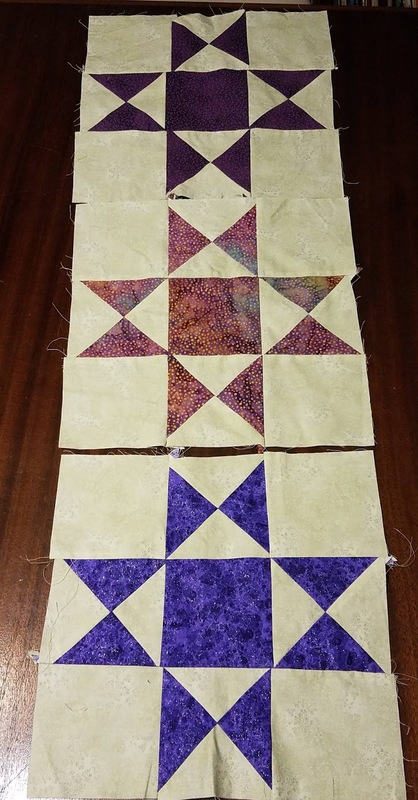 I think it's okay to bend the rules a bit to fit your quilting needs. 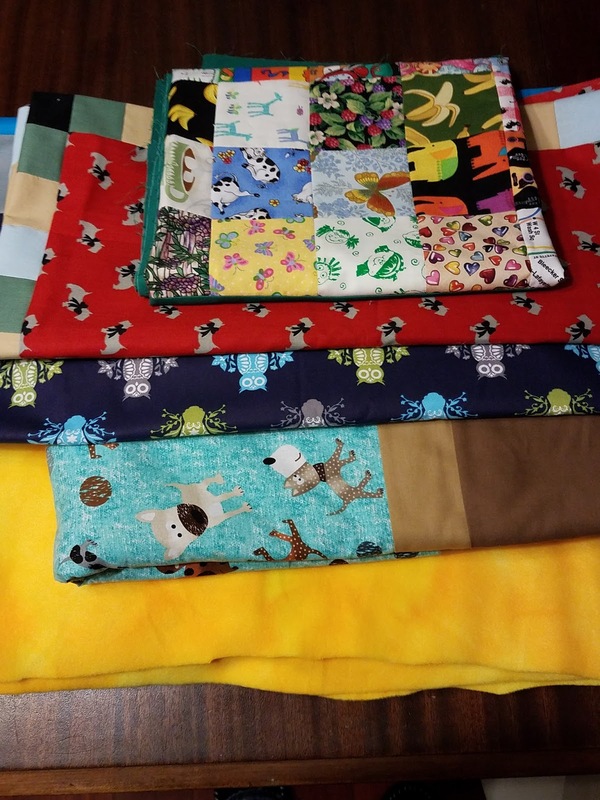 You do a ton of charity quilts, and they should get a different set of rules. They are like little nuggets of good karma you are giving to the world :) You've got a fun list of projects to work on and I can't wait to see as each one gets its own finish date. 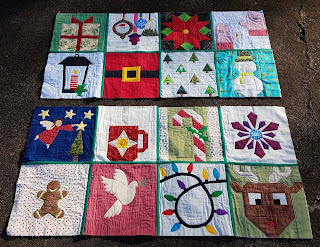 It' looks like you are so close on the We Wish You A Merry Christmas Quilt! Ohh, I hope you can get your PhD! Love how your We Wish You a Merry Christmas Quilt is coming together. Good luck with your PhD plans for this month. Getting the list down to half is going to be a challenge. I haven't heard of PhD's before, interesting. I call mine WIPs for the first year, once they cross the timeline and are not being worked on they become a UFO. I haven't as many as you but I would love to reduce the list. It must be wonderful to have only two or three projects at any one time, that's the dream for me anyway. Good luck with your list and achieving your PhD, I'm especially interested in seeing your completed bookshelf quilt, since I made you a block in Bee Inspired I am desperate to start one. I'm like Tish, I call anything a UFO that is in progress. Kits that I have, but haven't started are not included. That's another story in itself! You have some good goals for the year, and I think you'll make it! 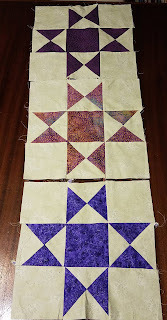 Your Christmas quilt is going to be a great finish!